The Flash mod is not a simple addon that replaces armor sets with superhero costumes. 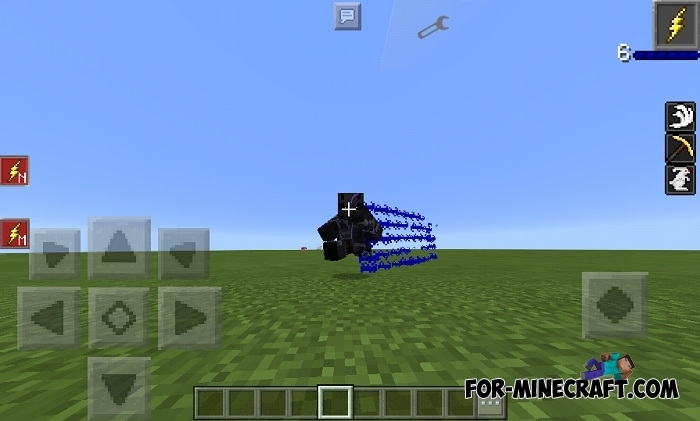 This modification turns you into real Flash in MCPE developing ultra-high speed and also slowing down almost to the stoppage time, but it's not all features. 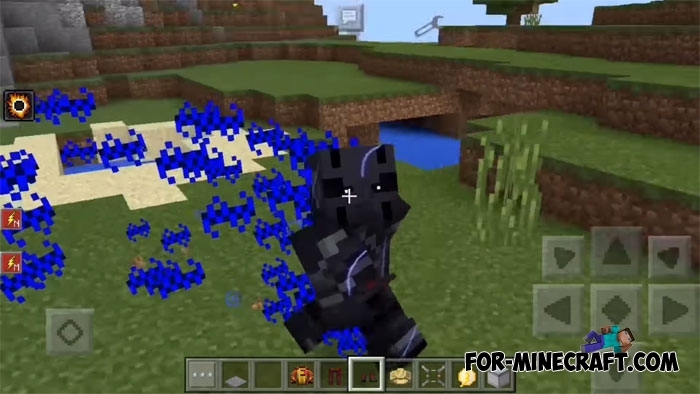 The mod is really great and the creator releases updates, adds new items and improves the possibilities. To get super powers you need to wear one of the above-mentioned suits and then click on the activation button. 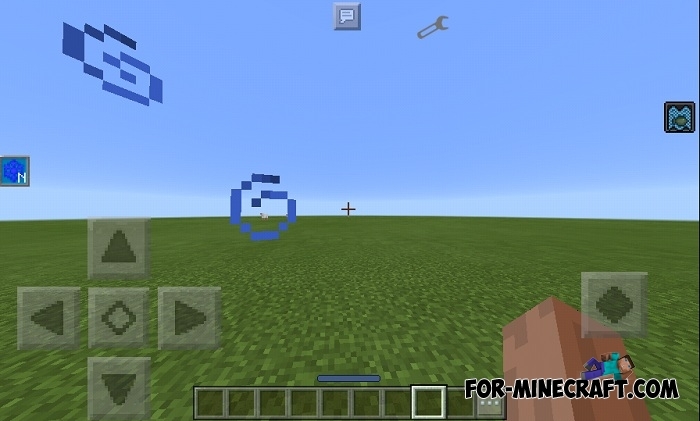 All available features are on the left of the screen, better choose an even surface to test them. The main character can move at a very high speed and also slow down. Each suit emits particles that can be seen behind your back during the run. 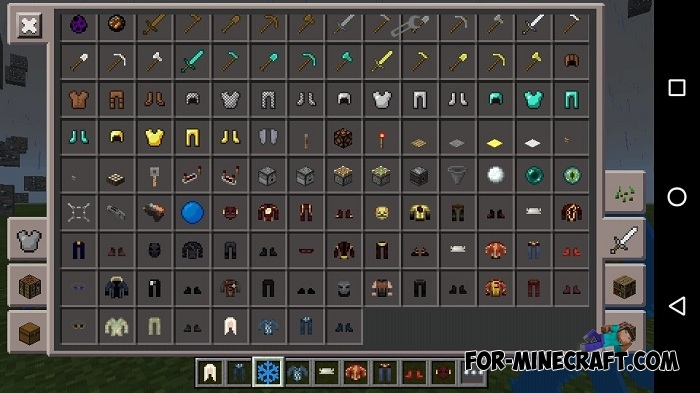 All used items have crafting recipes and can be obtained in survival mode, so if you are not a creative fan then get a crafting table. Some weapons can set fire, freeze or create ice structures and only work if you wear a superhero suit. 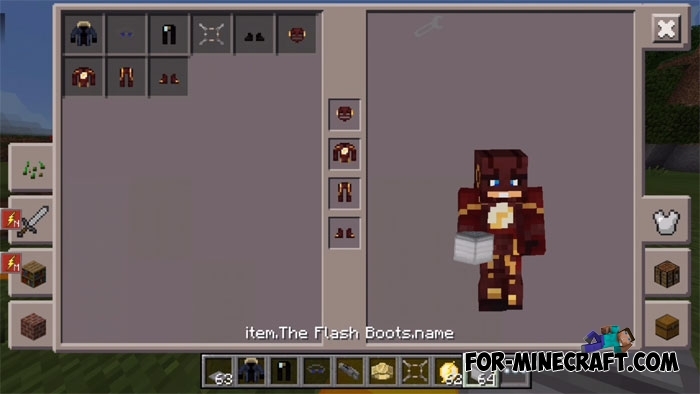 The Flash Mod for Minecraft PE 0.11/0.12/0.14The mod adds Flash armor set and armor of his enemy - Professor Zoom to the game. Armor gives you certain unique skills. Como faço o download do mod flash?